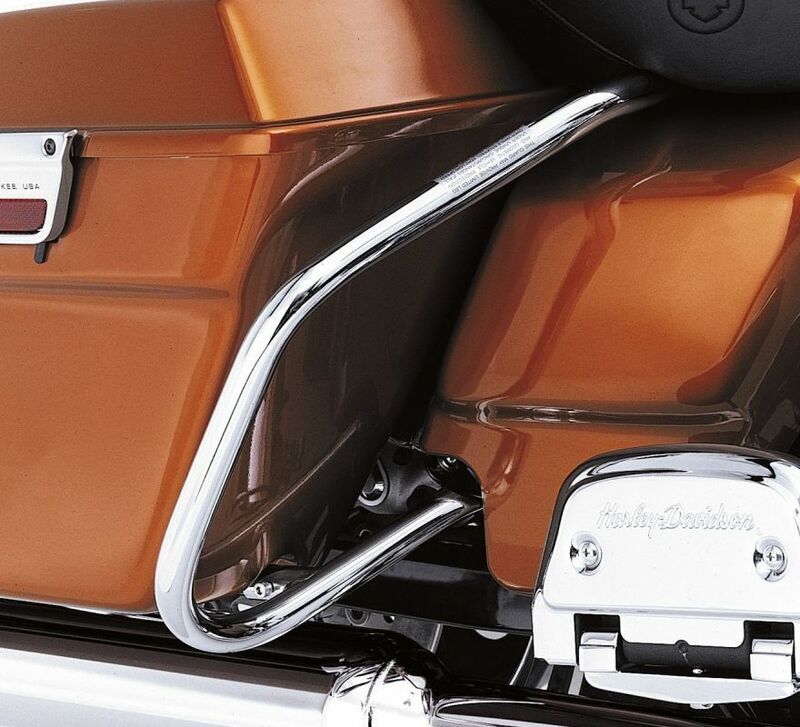 The unique profile of these chrome-plated Rear Saddlebag Guards gives your passenger more leg room. A perfect replacement for the Original Equipment saddlebag guards. 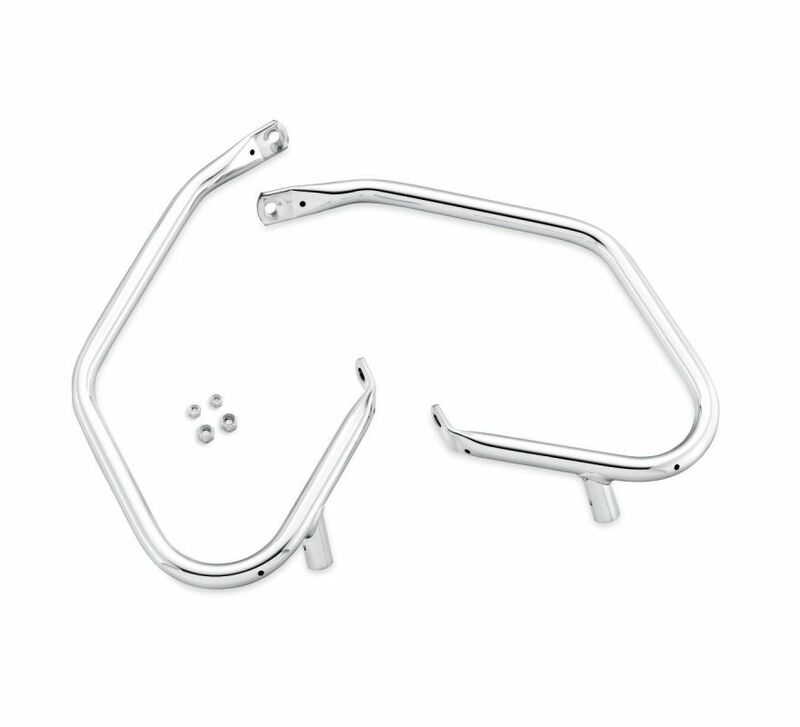 Engine guards may provide limited leg and cosmetic vehicle protection under unique circumstances (fall over while stopped, very low speed slide). They are not made nor intended to provide protection from bodily injury in a collision with another vehicle or any other object.